We now have the ability, technical knowledge and supreme vinyl materials to transform the appearance of your vehicle. This can all be done without the need for any costly or permanent re-spraying. The Colour change vinyl wrap can be removed at any time and returning your vehicle to it's original finish. We can protect Your Car which can save you money and our colour change wraps completed quickly and efficiently, what's more it cost so much less than the average vehicle re-spray. Our application team are all fully trained, highly experienced and are familiar with the very high standards that are expected throughout all of our clients. We can supply our vehicle colour changes and wraps to a variety of people, business and promotional agencies. WRAPPING THE BONNET & BUMPERS. Large sheets of coloured vinyl are cut down to size to specifically fit the required area of the vehicle. The colour change happens gradually as we build the process in stages, wrapping each area of the vehicle, carefully applying the vinyl wrapping films to the contours of the car or van. Once the area is covered and applied correctly with can then start to cut away the excess film. The Final Touches & Close Ups. The images above now show the quality of our vehicle wrapping and vehicle colour change abilities as the car or vehicle now becomes it's new colour and it's hard to believe the original colour is only underneath. With the vinyl heated and conformed to the vehicle and applied around the corners and edging of the vehicle it is difficult to tell this vehicle has even been wrapped. 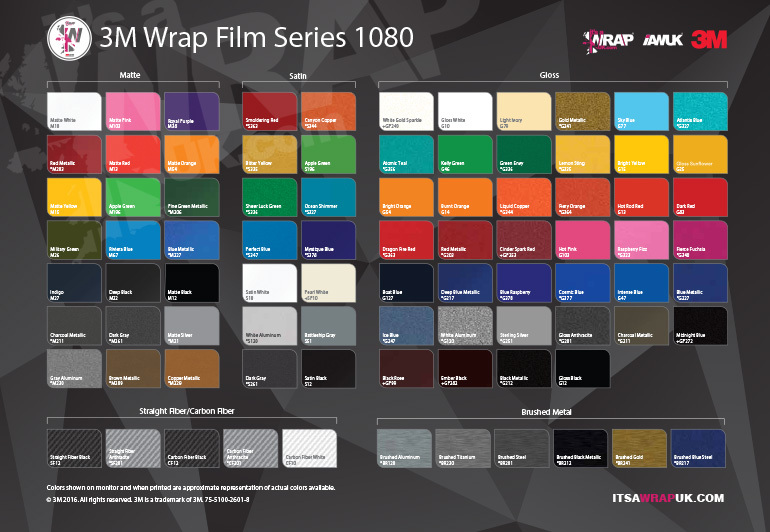 3M Wrap 1080 Series Colour Range. 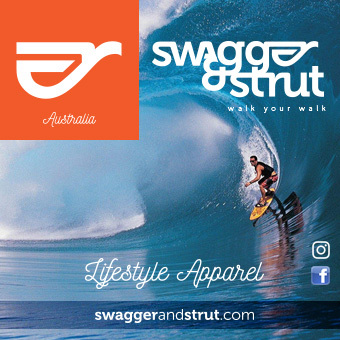 Click the image above to download your own PDF version of this chart so you can easily reference the colour chart range and make a selection that you prefer. There are many other colour product and manufacturer ranges available. 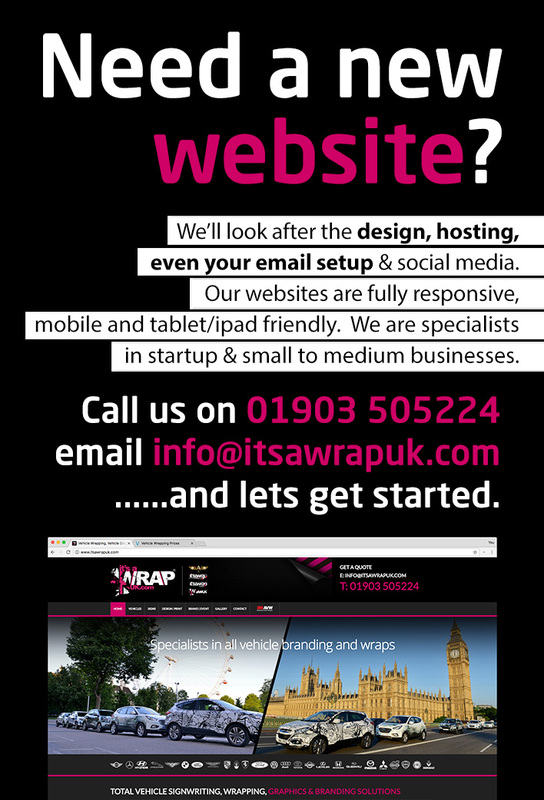 If there is something you cannot find here please call or email with your requirements and we shall assist. 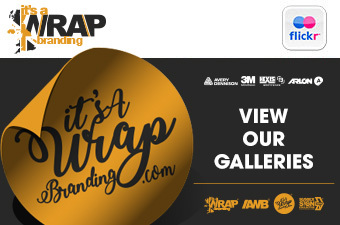 3M Graphics warranties for non-digitally printed finished graphics. 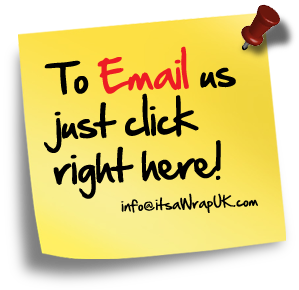 Wrap Film Series 1080 Vinyls. Finished Graphics Life Cycle Chart. This represents an example. Finished graphics created without printing are also eligible for the 3M. 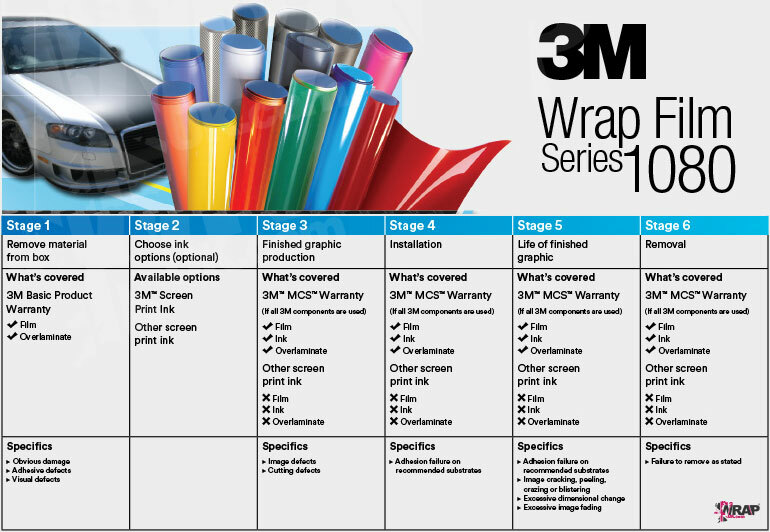 3M Graphics Warranty matrices and 3M Product and Instruction Bulletins for details.